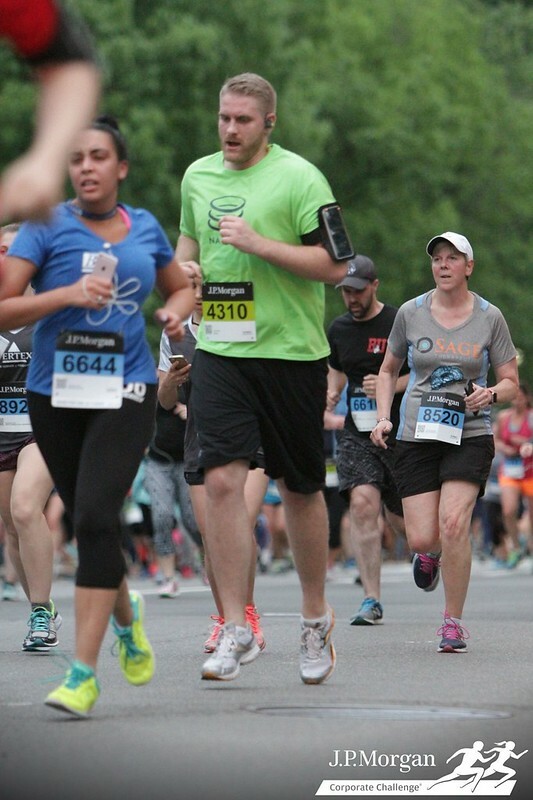 For the 3rd year in a row, Nasuni employees have banded together to run in the JPMorgan Corporate Challenge, an annual footrace held in Boston. This year, a sold-out crowd of 9,000 runners from 361 companies participated in the 3.5 mile race that started at Boston common, continued up Commonwealth Avenue to Kenmore Square, and back. Each year, the Nasuni team has been led by company captain and avid runner, Russ Neufeld, Chief Technology Officer at Nasuni. 26 Nasunistas participated, up from 18 last year, with 5 employees finishing in under 30 minutes. The event served as a great platform to promote health and fitness in the workplace, while simultaneously fostering camaraderie and positive culture among employees. The Corporate Challenge is dedicated to giving back to local communities in each host city. Proceeds for this year’s race served as a benefit for the Every Child Fund at Boston Children’s Hospital. The fund helps propel research that transforms treatments for our most stubborn diseases. $2.25 million was raised worldwide to benefit not-for-profit organizations in 13 Corporate Challenge cities. We all had a great time as you can probably tell by some of the photos below and we’re looking forward to an even larger turnout next year!